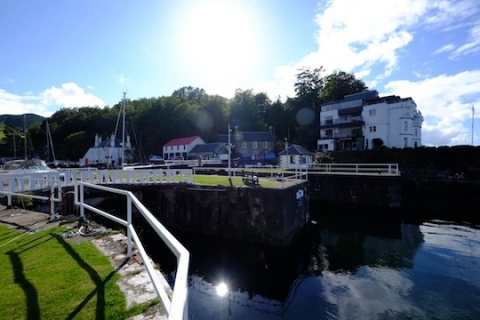 Opened in 1801 the Crinan Canal in Argyll & Bute connects Loch Gilp with the Sound of Jura by providing a much shorter route between the Clyde and the Inner Hebrides than going around the Kintyre peninsula. Vessels pass through fifteen locks as they navigate through the canal. ~ in the fields will take live data relating to each lock and create a kinetic parametric architectural structure in response, at the mouth of the canal in Crinan. 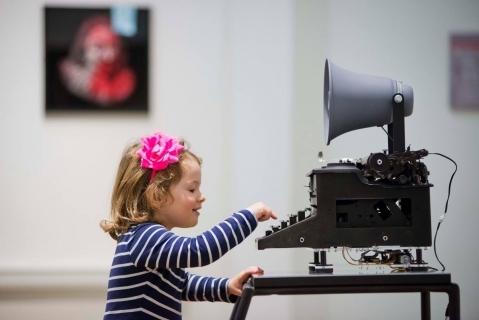 Alan Brown works with technology, moving image and sound. 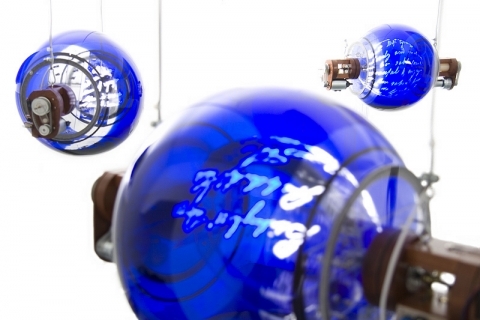 He creates device art to explore themes around communication, control, power and agency. His work is often playful and frequently involves modified everyday objects that function in altered or unexpected ways. Remote Control is a series of interactive pieces (‘If You Have Nothing to Hide, You Have Nothing to Fear’, ‘Do Not Press’ & ‘Emotional Contagion’) that engage with issues of privacy, social control and compliance. They explore how we resist or give in to the increasing influence of screens.